One compound found in a California shrub could one day be used to tackle brain aging and perhaps even Alzheimer's disease, according to new research. It is still very early days, but so far, the compound has been shown to have some exciting anti-inflammatory and neuroprotective effects when tested on mouse cells in a bowl. The medical plant is known as yerba santa ( Eriodictyon californicum ), which is Spanish for "sacred herb". It has been used by native California tribes to treat several ailments, so the team looked at it along with many other plants when looking for promising compounds. Yerba Santa contains sterubin, a flavonoid compound. Several flavonoids have neuroprotective and anti-inflammatory properties, so the team was interested in seeing what effect sterubin and other flavonoids may have on mouse nerve cells. They found that sterubin was effective against multiple inducers of cell death. The results are reported in Redox Biology. "This is a connection that was known but ignored," said senior author Dr Pamela Maher of the Salk Institute, in a statement. 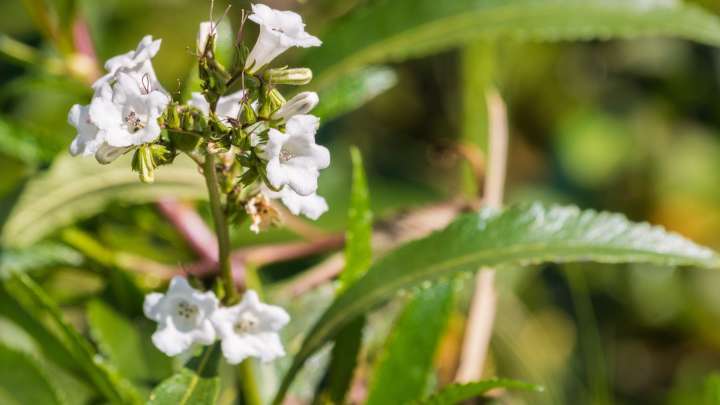 "Not only did the sterubin appear to be much more active than the other flavonoids in yerba santa in our analyzes, it seems as if not better than other flavonoids we have studied." The compound has great influence on energy discharge and inflammation of nerve cells, especially microgial cells. It is an iron remover, which is good because iron can play a role in nerve cell damage. It also reduces the accumulation of misfolded proteins and reduces the inflammation seen in aging nerve cells. "Alzheimer's disease is a leading cause of death in the United States," Maher continued. "And because age is a major risk factor, researchers are looking at ways to counteract aging effects on the brain. Our identification of sterubin as a potent neuroprotective component […] is a promising step in that direction." The researchers are now planning to investigate the effects of the compound on live animal models of Alzheimer's as mice. They are interested in determining both the effects of sterubin and its toxicity. The team also suggests that compounds can be tested quickly in humans, even if the plants are to be grown in standardized conditions. They say they see no major barriers to the manufacture of a synthetic version of sterubin.